Freshman Rep. Alexandria Ocasio-Cortez (D-NY) has led calls to abolish ICE. "The president should not be asking for more money to an agency that has systematically violated human rights," she said on MSNBC last month. "The president should be really defending why we are funding such an agency at all because right now what we are seeing is death. Right now what we are seeing is the violation of human rights." In his remarks Monday, Hoyer also conceded that some infrastructure is necessary at the border. However, he accused President Trump of overstating the criminal portion of illegal immigrants and said “we ought not to have these roundups” of those in the country illegally. 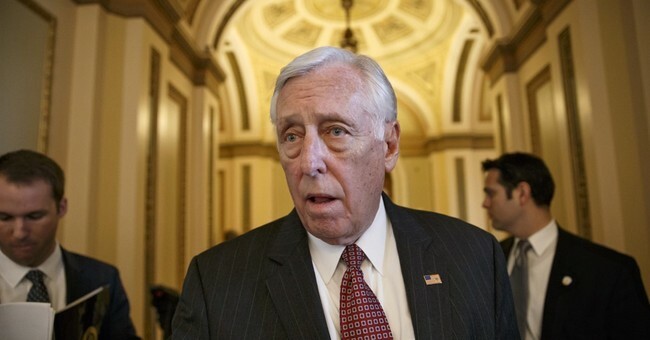 “Hopefully they will reach an agreement soon,” Hoyer said of averting a government shutdown that will occur on February 15th if an agreement on border security is not reached.